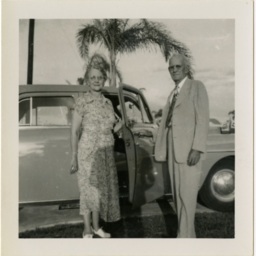 Photograph of two unidentified individuals standing in front of a car at an unknown location. Individuals may be members of the Lichliter family of Strasburg Virginia. FOLDER 1.1: Assorted Photographs, unlabeled and undated, 1 of 3, Photograph Series, Lichliter Collection, Truban Archives, Shenandoah County Library, Edinburg, Virginia. 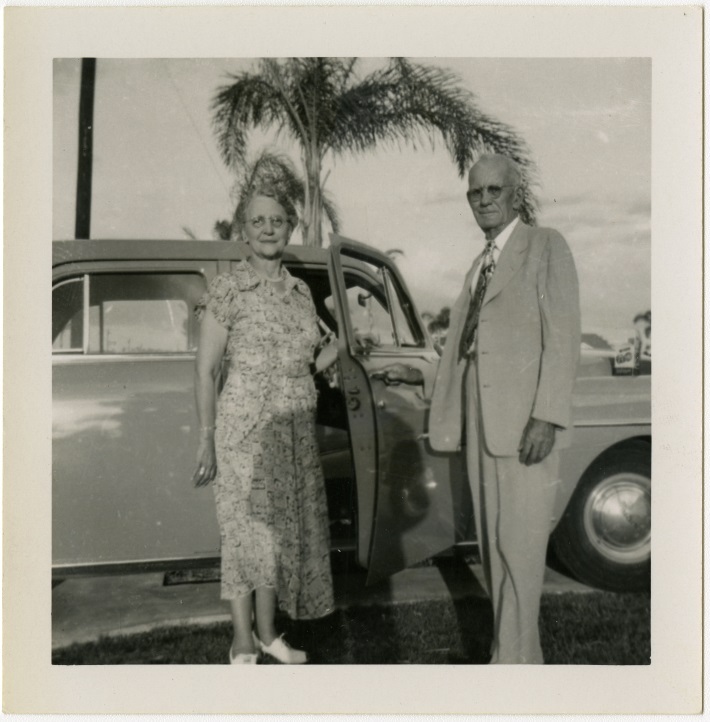 Unknown, “Unidentified Couple,” Shenandoah County Library Archives, accessed April 24, 2019, http://archives.countylib.org/items/show/11730.